Small transport vehicles moving material and tools to the production line. Often used in automotive manufacturing. Magnetic tape or painted lines guide the AGV on its route. Obstacles on the line and maintenance cause downtime. Replacing the existing sensor with Accerion’s Jupiter system enables driving on the line, but also away from the line. 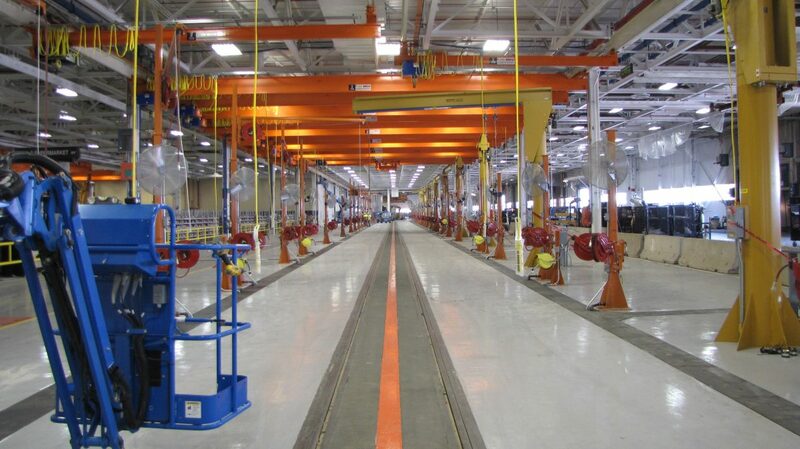 This enables driving into aisles, and enables overtaking obstacles and reducing downtime. ✕ Want more information about our product and its specs? Fill out this form and we will send you the datasheet.